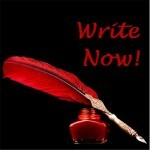 Listen to MichelJoy’s interview with Viki Winterton of WriteNow! Find out how micheljoy’s purpose in life was revealed at a very early age. Micheljoy shares techniques improving our listening skills. She discusses in detail the ten practices for creating profound communication relationships, both personal and business.